Imagine spending your days supporting the global veterinary healthcare community with world-class professional development opportunities. Known for wagging tails, creative ideas and collaborative teams around every corner, the NAVC is a not-for-profit organization committed to providing world-class continuing education for the veterinary community it serves. The staff members are serious about their passion and commitment to excellence and innovation within the veterinary profession, but they’re also authentic and customer-driven, which is evident through the NAVC’s social media networks and quarterly staff newsletter. From putting on one of the world’s largest veterinary meetings to becoming the largest publishing organization in the veterinary profession, the NAVC is proud of its many initiatives that keep the staff excited and engaged. The NAVC rewards team members by providing competitive salaries plus benefits including medical, dental, vacation and personal days, 401k and more. 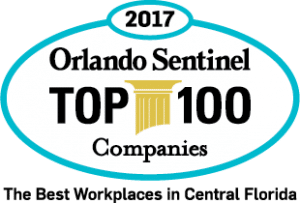 Did you know NAVC was voted one of Orlando’s Top 100 Companies by the Orlando Sentinel? We have pet-friendly offices so Rufus can stay by your side during your workday. Our break rooms are well stocked with snacks. We like to take time to get out of the office and do good for the community throughout the year. We think employees should be casual and comfortable everyday, not just on Fridays. There are no available positions at this time, but check back soon for new opportunities.